Just like you and I, sleeping on the right bed can make a world of difference in the comfort, health, and well-being of your furriest friend, too. Cats spend anywhere from 12 to 16 hours every day sleeping! 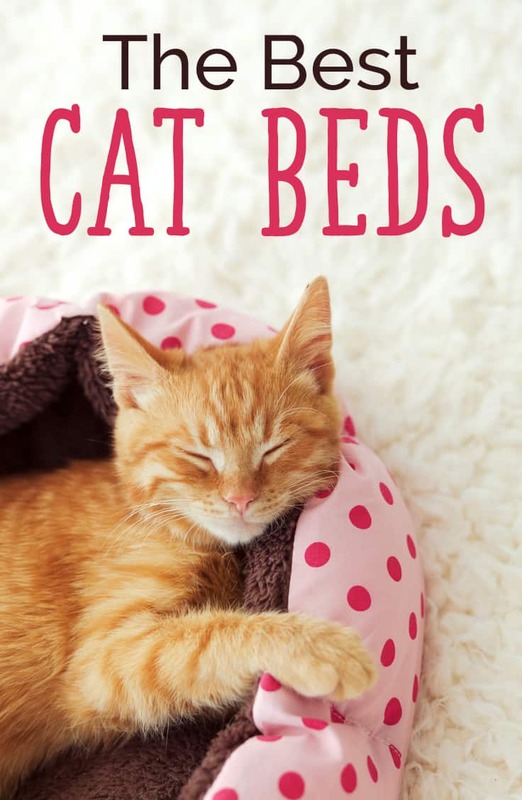 With that in mind, we’ve scoured the market to bring you the Best Cat Beds. Different cats have unique needs when it comes to nap time, so it’s important to make the right choice when shopping for a bed for your fur-family. 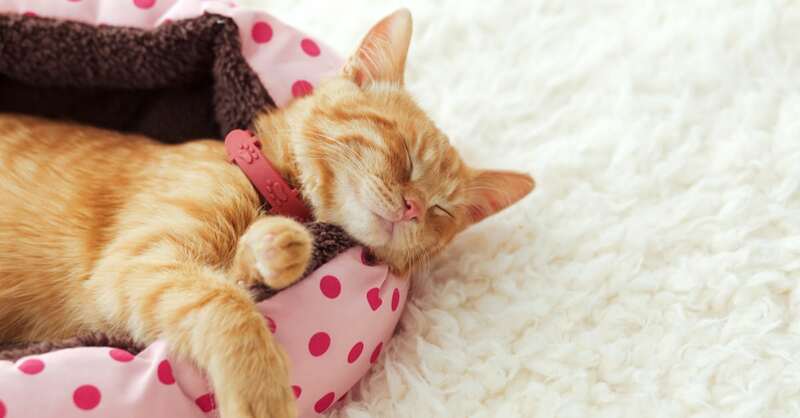 Your cat’s bed should, of course, be soft and cozy, but should also be durable and sturdy while cushioning joints and providing orthopedic support during the restorative sleep that’s so important to their overall health and wellness. Size: Of course the most obvious consideration when choosing a bed for a cat is the size. Your cat’s bed should be large enough for them to fit entirely, laying fully stretched out without limbs hanging off the sides of the bed (whether they choose to sleep that way is another story!). 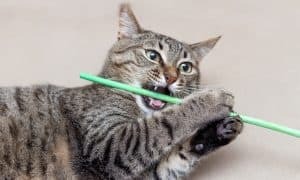 Durability: Cats aren’t always gentle with their things... they might show they love something by digging their nails into it and getting their scent all over it! With that in mind, you want a cat bed that will stand up to the wear and tear of cat claws. 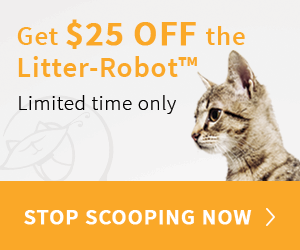 Ease of Cleaning: Experts recommend cleaning the cat’s bedding as often as we clean our own to prevent dirt, odors, dander, and hair from building up. So, look for a bed that can easily be tossed in the washer or has a removable cover for cleaning. 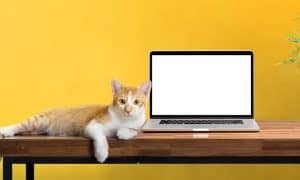 Appearance: While this isn’t the most important factor, the cat bed’s appearance does play a role in the purchase decision. We considered whether our top picks were available in a variety of colors to match most home decor. 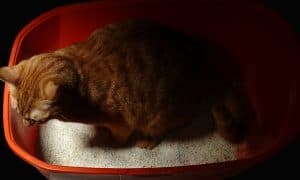 Pros: The 2-in-1 Cuddler Cat House from Messy Cats beat out the competition in several key areas. We realize not all cats are created equal and have different tastes when it comes to their sleeping arrangements. That’s one of the reasons this bed made our Best Overall. We love that it pulls double-duty – it can serve as a sturdy and secure private hideaway for cats who like to sleep in caves, or the peekaboo entrance folds down to convert to a cozy high-sided bolster bed. And it does a great job at both! It’s made from a durable, scratch-friendly upholstery fabric and includes a skid-proof bottom, so if you put the bed up on a table or shelf it’s not going to slide off with your cat inside. Perhaps our favorite feature – and the reason this bed made the top of the list – the fabric is embedded with Everfresh®, a probiotic technology that provides natural, non-toxic, pet and environmentally safe odor control. 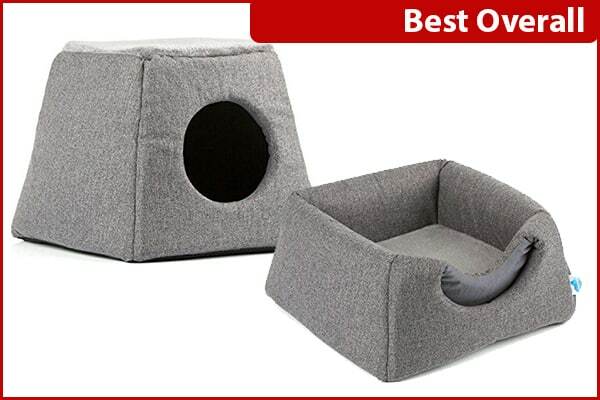 Cons: At the time of this review, the 2-in-1 Cuddler Cat House is only available in gray. “This is my cat’s first bed. I got a new sofa and wanted to give her her own space to try and keep some hair off the new furniture. I wasn’t sure what kind of bed she would like, so I got this one since it can be a cave or a bed. She’s been in it for about 6 hours now. I’d say it’s a hit!” -J.A. Pros: Give your feline friend a cozy place to cuddle up with the K.T. Manufacturing Mysterious Kuddle Kup Cat Bed. What makes it so mysterious anyway? 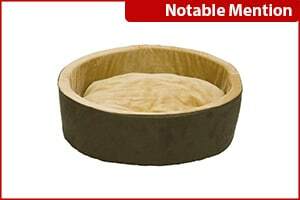 They say the material is a “cat magnet.” Made from 100% recycled polyester fibers, this ultra-soft, eco-friendly cat bed works as an insulator to absorb and hold the soothing heat cats love. If your cat is always seeking out the warmest spot in the house, this is the bed for them! You won’t find another cat bed at this price that has so many happy customers. Cons: Because of the material this bed is made from, it’s only available in gray or white. Extra care should be taken if you need to wash it. You can wash the bed on a gentle cycle or hand wash and let it air dry. 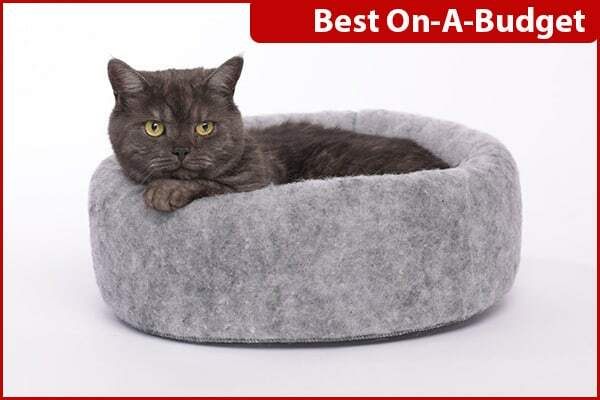 The bed is not extremely durable, as it’s basically just filling without a cover, but the super low price and high customer rating makes it our top pick for cat beds on a budget. “My cats don’t like “cat beds” they prefer to sleep wherever they like, definitely not in a place designated by their humans. They have rejected other cat beds in the past, refusing to use them at all. That said, they both like this bed and will take naps in it throughout the day. 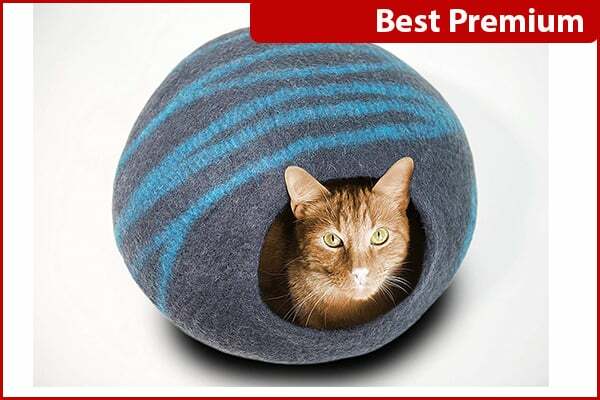 Pros: For those who want only the very best for their cats (or just want something to replace the cat’s current cardboard box) we love the Meowfia Premium Felt Cave Cat Bed! Handcrafted by Nepalese artisans using 100% New Zealand Merino wool using a wet-felting technique that molds the wool into a dense fabric with only soap, water and pressure; each bed is made from a single piece of fabric so there are no seams or stitching to burst or fray. Merino wool is not only ultra-soft and flexible, it keeps your furriest friend warm in winter and cool in the summer. It’s also naturally antibacterial so it repels odor, dirt and stains to help keep your four-legged friend and his hide-away fresh and clean. These cat cave beds not only provide a cozy spot for your friend to take a cat-nap, they’re also beautiful works of art that are available in many different color combinations to complement any decor. The large size can easily accommodate multiple cats. Cons: Because they’re handmade from wool, these beds are not machine washable. Luckily wool naturally repels dirt and odor, so frequent washing won’t be necessary. You can spot clean with a vacuum and wipe with a sponge. Because there are as many varieties and styles of cat beds as their are of cats, no single bed will be perfect for every situation. 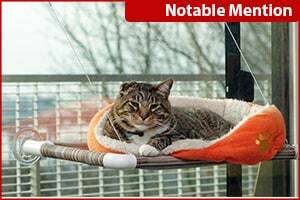 With that in mind, we couldn’t ignore these specialty beds for cats! PetFusion’s Cat Scratcher Lounge serves double duty as both a cat scratcher and lounge that promises to keep your finicky companions coming back for more. Custom made for cats who enjoy scratching, playing and lounging around (what cats don’t?). Cats love the feel of cardboard, recalling their days as kittens and are natural scratchers. 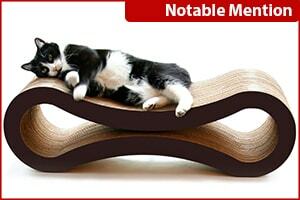 PetFusion’s Cat Scratcher Lounge offers your cats a comfortable place to rest and scratch at the same time. The K&H Thermo-Kitty Bed includes a dual thermostat, 4 watt heating unit buried within its thick premium polyfil pillow base. It warms the surface 10-15 degrees above ambient air temperature when not in use. When your pet lies in the bed it warms to your pet’s normal body temperature to keep them cozy warm. The heater is removable and the cover is machine washable. Indoor use only, MET Listed. Don’t be fooled by imitators. The Kitty Cot Original window perch uses patented huge suction cups – that are rated for 12 pounds each – and it will not fall off the glass, unlike the competition. Made from PVC pipe and durable, easily washable multi-color plastic coated nylon mesh, the Kitty Cot will be your cat’s favorite spot to hang out and watch over his domain.